Tectonics Lab is honored to participate in 100 Years of Architecture, an international exhibition at Mánes Hall, Prague, Czech Republic. The Architecture Week Prague presents every year international exhibitions of architecture, and publish an annual Catalogue. In 2018 the topic of the festival will be 100 Years of Architecture, a celebration of the most beautiful, outstanding and influential architecture of the last 100 years, all over the world. Tectonics Lab이 체코 프라하에서 열리는 프라하 아키텍쳐 위크 국제전시 에 초대건축가로 참여합니다. 2018년 전시는 지난 100년간 가장 아름답고, 주목할 만하며, 영향력 있는 건축을 소개하는 100년의 건축이라는 주제로 진행됩니다. 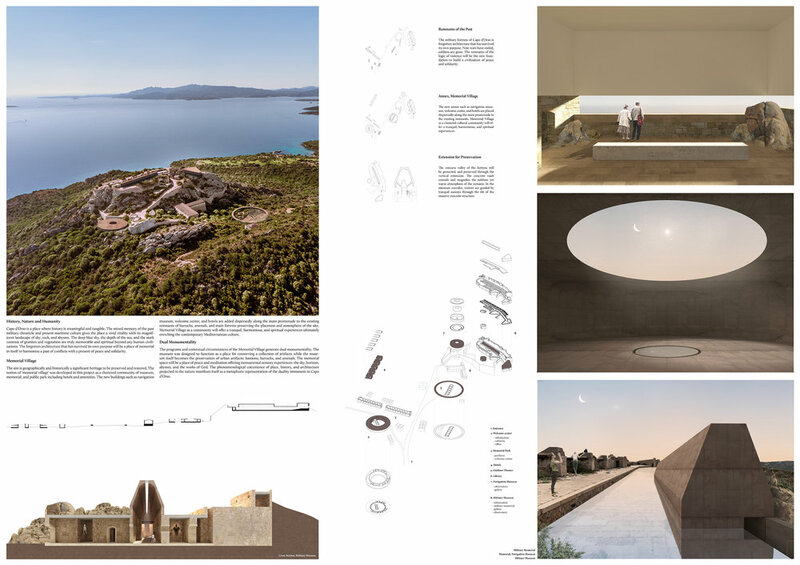 We are excited to announce that Tectonics Lab received a Gold Mention in the YAC Military Museum Competition. Tectonics Lab이 YAC Military Museum Competition에서 Gold Mention을 수상하였습니다. Tectonics Lab is honored to receive The International Architecture Awards 2018 for Cheongun Residence. Cheongun Residence will be exhibited at The Contemporary Space Athens, Greece. 청운동주택이 The Chicago Athenaeum과 The European Center for Architecture Art Design and Urban Studies에서 수여하는 The International Architecture Awards 2018을 수상하였습니다. 조안면 주택이 Unbuilt Housing Award 2018에서 2위를 하였습니다. Financial Times features Cheongun Residence. We appreciate Edwin Heathcote's insightful review. 청운동 주택이 디자인 웹진 Divisare 117호에 소개되었습니다. Design magazine dezeen features Cheongun Residence. 청운동 주택이 디자인 웹진 dezeen의 Architecture 섹션에 소개되었습니다. 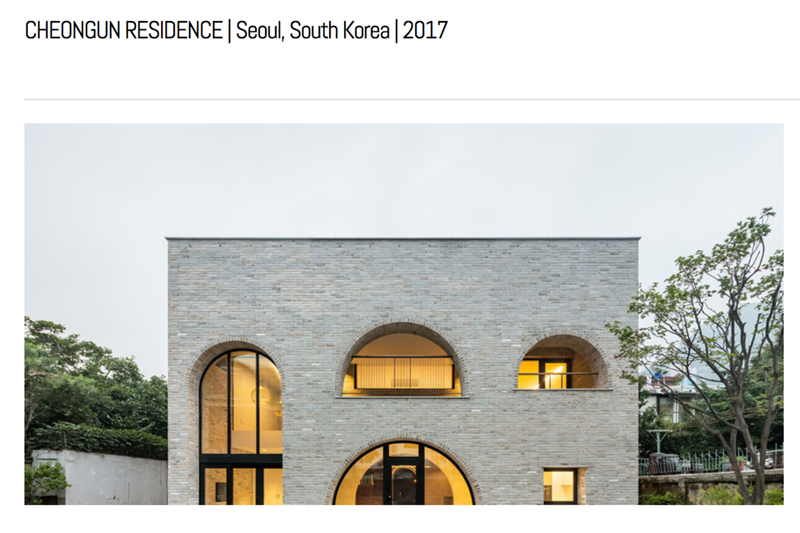 ARCHITECT magazine, The Journal of the American Institute of Architects, features Cheongun Residence. 청운동 주택이 미국건축사협회지 ARCHITECT에 소개되었습니다. Villa S가 전원속의내집 11월호, 인테리어 섹션에 소개되었습니다.